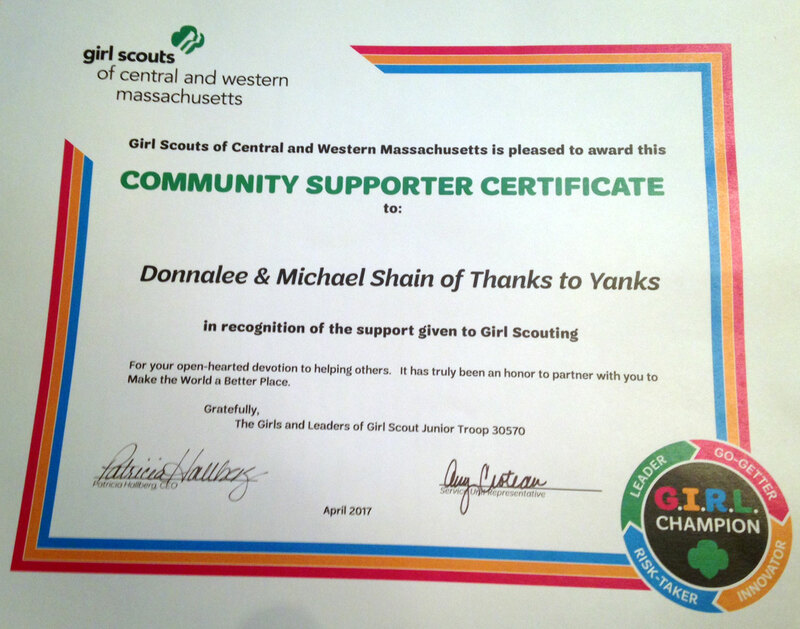 Thanks To Yanks was recognized for their help in assisting the Junior Girl Scouts of Milford to learn about military and veteran family needs. Over the past year, the girls joined Thanks To Yanks in providing items for homeless veterans, retiring flags, making and distributing hundreds of Stars for Our Troops, and putting together care packages for our troops, among many other things. Thanks To Yanks is committed to promoting civilian respect and understanding of our military, veterans and their families. Thanks To Yanks, is a non-political 501(c)(3) organization whose mission is to support military members, veterans and their families.